[toc]Back pain is a common problem that affects millions of households daily. All the people around the world suffer from either chronic or acute back pain. Back pain can also be a resultant factor of an injury or an accident. Most of the back pain is the result of the muscle or ligament sprain. This can easily be treated in a six weeks time. Now, visiting a doctor or chiropractor is extremely important but there are a lot of things that can be done at home to alleviate the pain of the individual. There are times when back pain is the result of standing or sitting in one place for a long time. Exercising and stretching your body can also help in relieving the back pain. 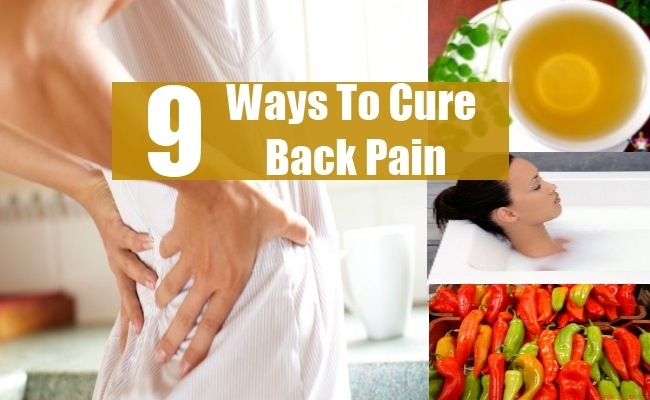 Below are some tips to cure back pain easily. Check these simple tips for help. The herbal teas and other extracts help in improving the blood circulation and alleviating the back pain. You can always brew and steep some chamomile tea and drink it daily. You can also take chamomile as a supplement. If you want to alleviate the pain then you can take pineapple extract daily 2-3 grams. St John’s wart, valerian and Jamaican dogwood will also yield the same results. To relieve lower back pain, re-growth of the connective tissues and regulate the bowel movement you can brew horsetail tea and drink it daily. If you want to build back muscles then drink yarrow juice. Make a black or yellow mustard seed hot compress for the affected area. This is a special heat therapy and must not be used for longer than 10 minutes on the region. To alleviate your back pain you can also apply a salve made up of lobelia and cramp bark salve. Capsaicin is usually found in the cayenne peppers. It is a natural pain healer. If you use capsaicin, it will change your body’s way of recognizing the pain with the help of pain relieving endorphins. Capsaicin can be applied in various ways. You can easily get an over the counter cream and apply it gently on the affected areas. You can always make a salve at home. Mash a red cayenne pepper and add it to the body lotion till it turns pink. Apply this lotion on the affected areas. You can also make a solution of alcohol and cayenne pepper. Let the solution sit for three weeks before you apply it. You can always use peppermint or menthol based salve, rub, tea or soak this will help in easing the tightness of the muscles of the affected areas. 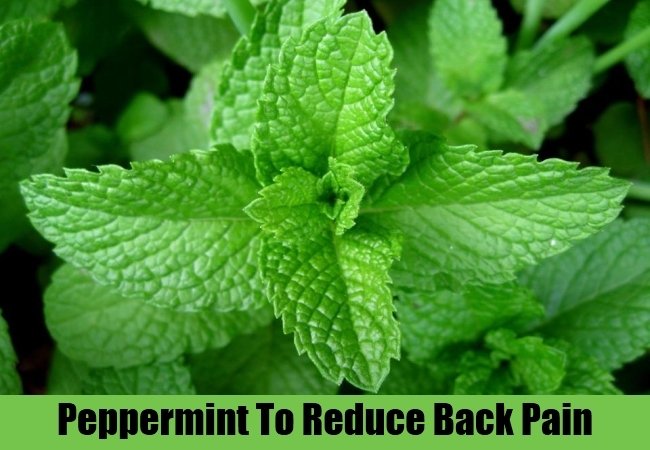 You can always buy peppermint oil and apply it on your back. You can use it as a hot compress or drink a tea made out of mint. 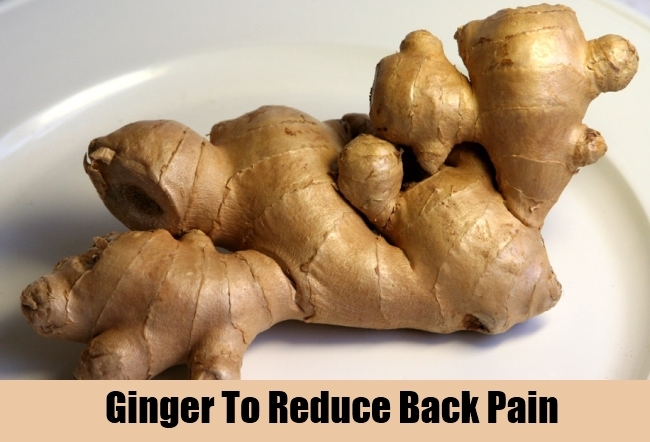 Ginger is an anti-inflammatory and pain relieving agent. You will have to take a large 4-5 inch piece of ginger root and cut it thinly. Take a quart of water and bring these ginger slices to a boil, let it simmer for 30 minutes. Let the mixture cool down for 30 minutes and then strain the liquid. Drink this potion one cup every day. If you want to improve blood circulation of the back then you can soak your body in a hot bath mixed with Epsom salts. This will reduce the swelling in the affected areas and relax the tight muscles. Fill a bathtub with manageable hot water, pour two cups of Epsom salt on the back and then soak for 30 minutes. Make sure that the water is hot! Devil’s claw aids in reducing the muscle pain and inflammation. This is an African root. If you are experiencing chronic pain in the back then take 800 mg concentrated capsules three times daily. You can continue taking these capsules for up to two weeks. If you have unbearable pain then you can take 200 to 400 mg of these capsules three times daily for eight weeks. If you have thin blood problem, heartburn, gall stones or gastritis you must refrain from taking these supplements. 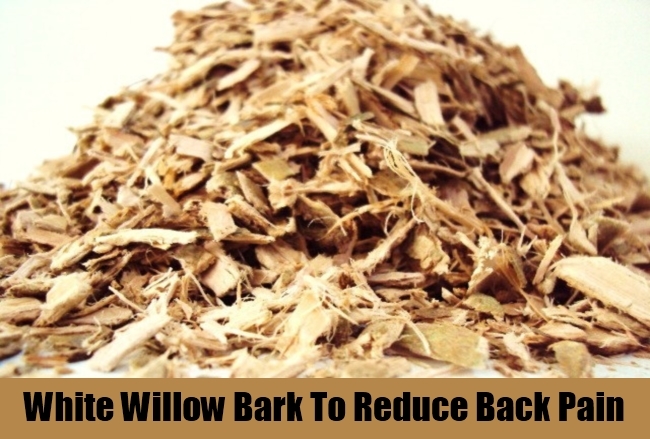 The extract of white willow bark is useful for curing arthritis, muscle pain and headaches. This wonderful medicine also cures chronic lower back pain. The recommended dosage of this herb is 240 mg of the compound of salicin. Aspirin contains acetylsalicylic acid that is almost similar to the properties of salicin. Prolonged use of aspirin can result in gastric ailments and kidney damage. White willow bark extract should not be administered to patients younger than the age of 12. 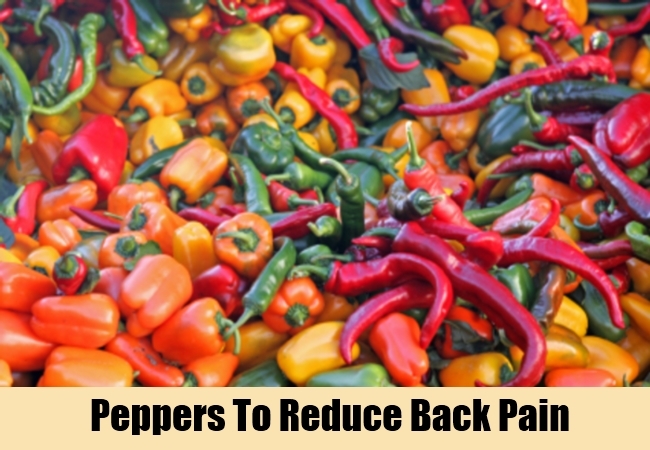 You will have to make alteration your diet if you want t cure the back pain. 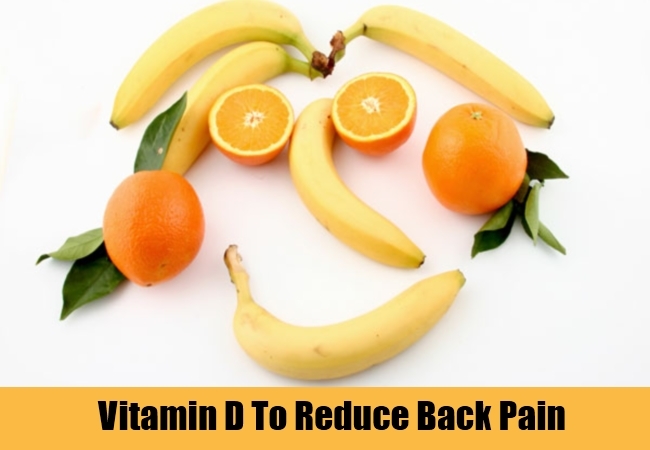 Vitamin D is a good source for curing back pain. You must not rely only on milk for your daily dose of vitamin D. Grains and fish are other simple sources of vitamin D. Cod liver oil has the highest content of vitamin D. Catfish and herring are also good sources. Shellfish, oysters, steelhead trout, halibut, salmon are all good sources of vitamin D. Milk, infant formula and orange juice all come fortified with vitamin D.
If you want to ease back pain then you can also take vitamin B12 supplements and food sources. B12 is hard on your stomach and therefore it has to be taken in the form of injection, sublingually. B12 is also a good medicine for curing pernicious anemia. A lot of vegetarians complain of back pain, lack of vitamin B12. This is because vitamin B12 is mostly found in the animal proteins. Stretching exercises will aid in relieving your back pain. These exercises will help stretch the back tissues and extend the back muscles. Stretching will help in relieving the stiffness of back too. If you are suffering from back pain then you must carefully perform this exercise under a trained therapist. Cardio-vascular exercises, aerobics, swimming, brisk walking, jogging etc can all be performed daily for better results. Avoid strenuous exercises like rowing etc that involves extra stretching of the back muscles.